"Henry Lapp is a character who is different from everyone else. He has an unexplainable skill, resulting from a traumatic brain injury. Henry has a hard time deciding whether this skill is a curse or a blessing, and he's somewhat afraid to embrace it. I found this storyline fascinating. It seems we all have ways that we are different, that we don't fit in, things about ourselves that we don't understand. And yet we are all 'fearfully and wonderfully made.' How do we reconcile those two things? How do we trust God with the most vulnerable parts of our hearts? And how do we use these things to strengthen our faith and walk closer to Him? That's the story of Henry Lapp, and I hope you enjoy the journey as much as I did." 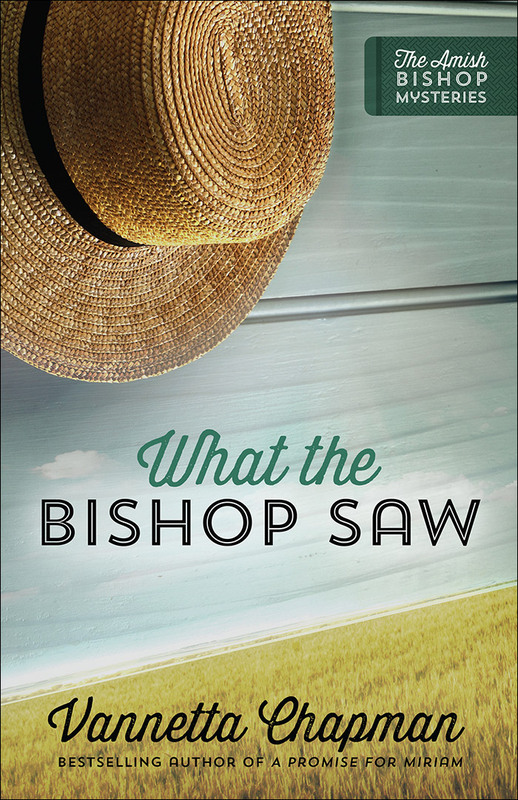 What the Bishop Saw is one of the most powerful engaging mystery I’ve read. Vannetta Chapman never fails to create an astonishing story in her writing, but this one is over the top. I had to stay up to finish the day I started reading—it was that captivating. Chapman has the setting in San Luis Valley of Colorado, which I could picture in my mind with her descriptive words. The characters are well developed with some delightful ones that you would like to call family. The realistic events happening in San Luis Valley, the mind of an arsonist, unexpected twists and turns, a budding romance, true-to-life emotions of the characters, determination, faith, and love are all in this latest mystery by Vannetta Chapman. This is not your typical Amish story, but one filled with continuous action that engaged this reader while trying to figure out who the arsonist was. 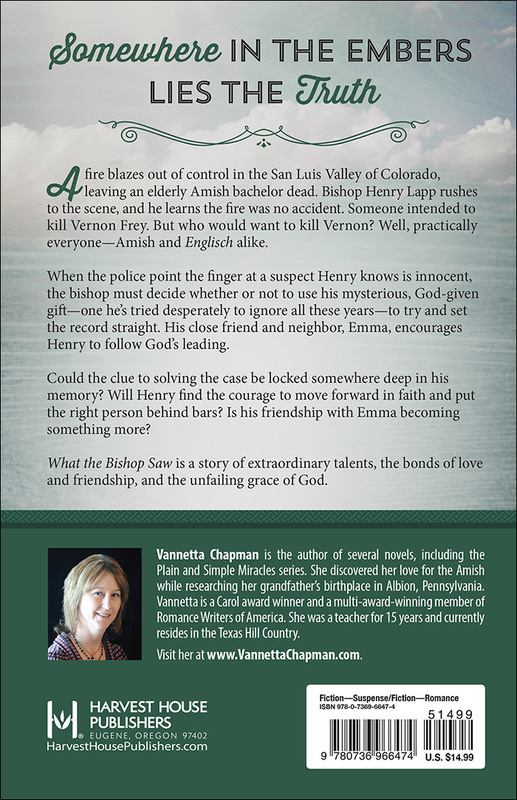 I look forward to reading the next installment in The Amish Bishop Mysteries by Vannetta Chapman. This novel by Vanetta Chapman is entertaining. It is centered around a syndrome that is quite rare and the story surrounding it brings to light the problems that it sometimes causes. I like the book, it kept me interested.